We’re a friendly, diverse, dedicated bunch of fruit, vegetable and flower growers of all ages and levels of experience; some of us are complete novices, some of us are about getting the hang of this growing lark, and some of us have been growing here since the early 1960s. Although we’re just off Bury Old Road, Langley Allotments is something of a hidden gem. 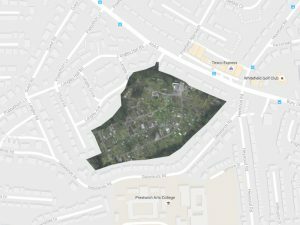 If you search for the site you’ll find us – don’t be fooled by the blank space in the centre of the map, just above Glebelands Road; there are 90+ allotment plots under that chunk of grey. 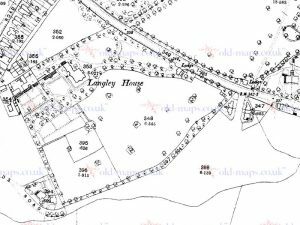 A look at the 1891 Ordnance Survey map on old-maps.co.uk shows that our allotment site once belonged to the estate surrounding Langley House (mentioned in a biography of physicist and mathematician George Green as being the home of Miss Marion Tomlin, until her death in 1910). In fact, the allotments must have been established some time during or between 1922 and 1923, as the relevant Ordnance Survey maps on old-maps.co.uk show the area marked as ‘Holyrood’ in 1922 and ‘allotment gardens’ in 1923. We are therefore approaching our centenary in 2022/23. Langley Allotment Holders Association took over the running of the site in 1998 under Bury Council’s self management agreement.